Amigos was featured in the 1993 World's Largest Concert and the First International Choral Festival of Havana, Cuba, 2000. This is a song of friendship in Spanish, French, Hebrew, and English; based on a Ghanaian high-life song. It is easily translated into other languages appropriate for your school. A sign language sheet is included. 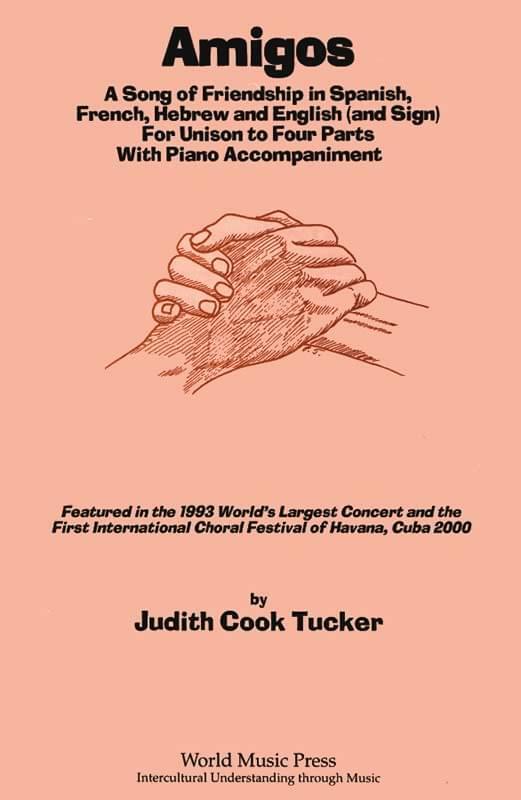 Words and music by Judith Cook Tucker. Unison - four easy parts; piano and/or guitar; suitable for all grades; harmony parts for four+.